“To travel is to live.” (Hans Christian Andersen). When you travel to a new place, it seems that your life is open and more colorful. It must be wonderful to enjoy some days in a new place that is different from where you are living. Do you have any plan for your next trip? April is coming, traveling lovers are finding a destination to discover, aren’t you? 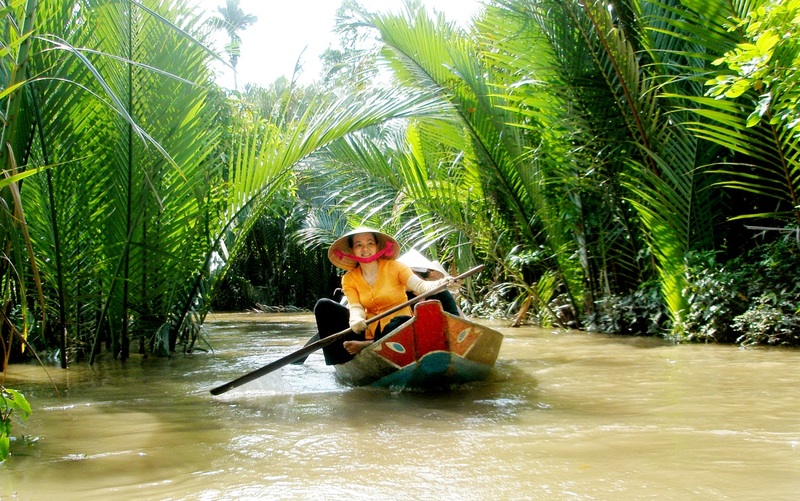 I have a suggestion for you about a place in South-Western region of Vietnam: Mekong Delta tours. The beauty of nature and culture in Mekong Delta is impressive at any time in a year and of course if you visit here in April, you will also have a chance to discover a lot of interesting things about this place. Therefore, you can set a plan to have a trip in Mekong Delta, especially some specific places like floating markets ( Tien Giang, Can Tho), historical pagodas ( Bac Lieu) or enjoy the seasonal fruits and the comfortable climate. If you are tired with the crowded and busy city where you are living or you just want to find a place to relax, Mekong Delta is a suitable destination for you. There are 2 main seasons in the South-Western region of Vietnam: Dry season from November to April and rain season in the rest months. April is the connecting month between dry season and rain one, therefore, the climate is comfortable, it is not too hot like in dry season and there is not heavy rain like in rain season. Travelers will feel more relaxing when living in the cool weather and fresh atmosphere in Mekong Delta in April. 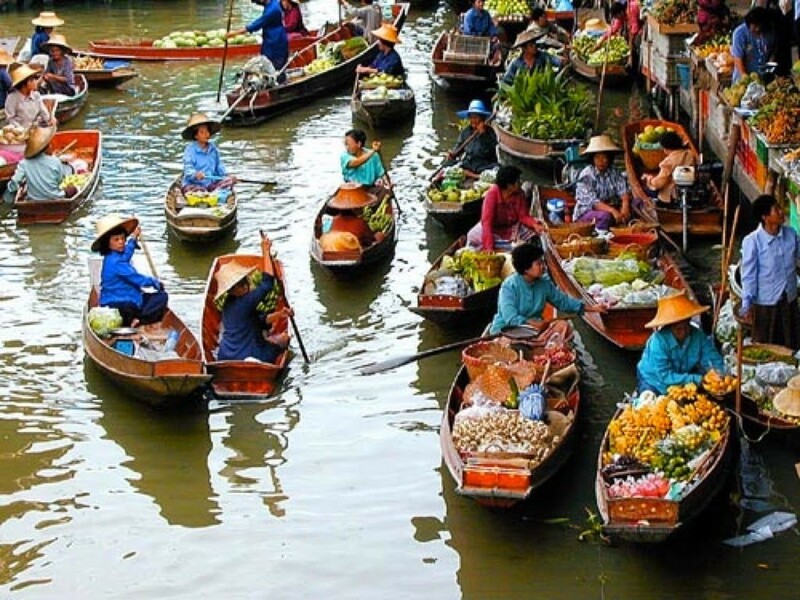 Because of geographic characteristics, floating market is a popular kind of market in many regions of Mekong Delta. 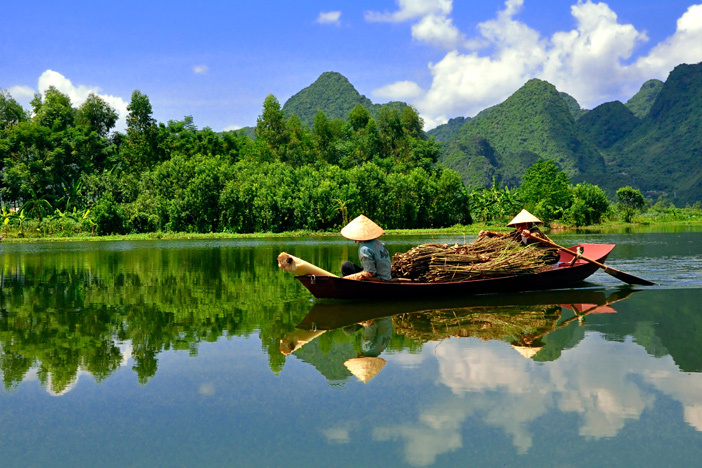 When visiting these markets, you not only have new experience by sitting on a boat during the trip but also understand more about the culture and lifestyle of people in South-Western of Vietnam. Cai Be floating markets in Tien Giang should be one of the markets that you should take a consideration when discovering Mekong Delta. Cai Be is the biggest floating market in this region so that it is also ideal for you to experience significant features of this kind of market. People often trade agriculture products by two river banks. Visitors coming here can travel on boat to have a sightseeing the living of people or see how people buy and sell goods in floating market, in addition, they can taste food and seasonal fruits sold by people. Besides, you can buy specilities in Cai Be floating markets for you friends. Don Ca Tai Tu is a traditional music of Vietnamese Southern people. This kind of music is performed in the garden, or on the river and it is a special genre of music in Mekong Delta. There are some people who have passion with music and sing together for relaxing after a hard-working day. Gradually, Don Ca Tai Tu is performed in some important events like weddings or festivals. 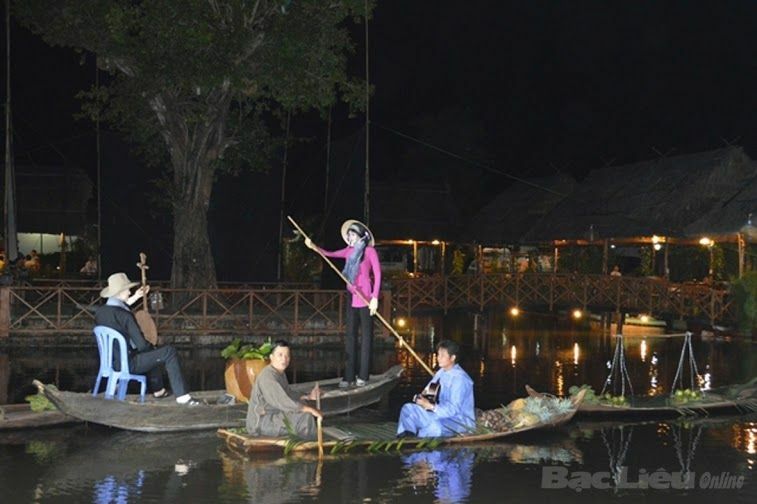 When visiting South-Western region of Vietnam, visitors may get some performances on the river like that. It is a good chance for you to understand more about lifestyle and culture of regional people.